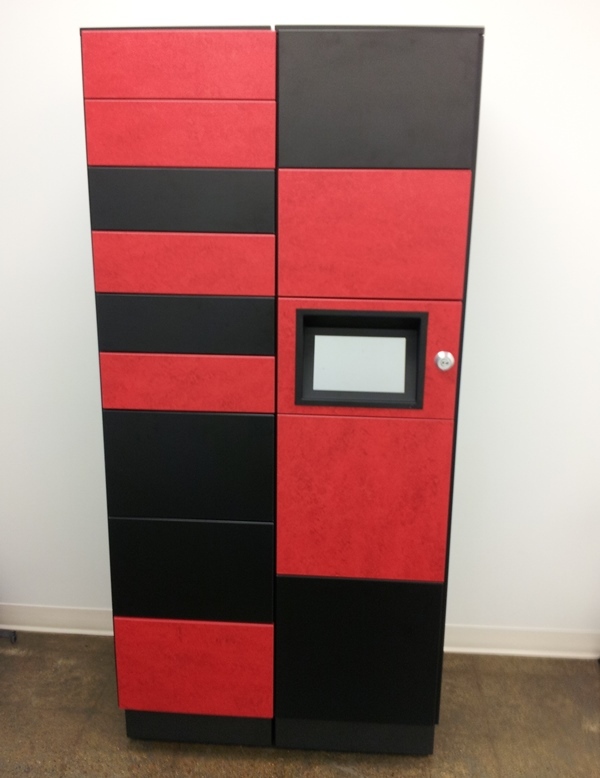 The self service package lockers are a one-of-a-kind system that consists of modular lockers, locking devices and system software. 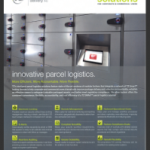 The lockers give customers 24/7 access to drop-off or pickup parcels and provide a complete audit trail of the transaction. Also, there are no restrictions on which shipping companies you can use to send the package or where the package is coming from. 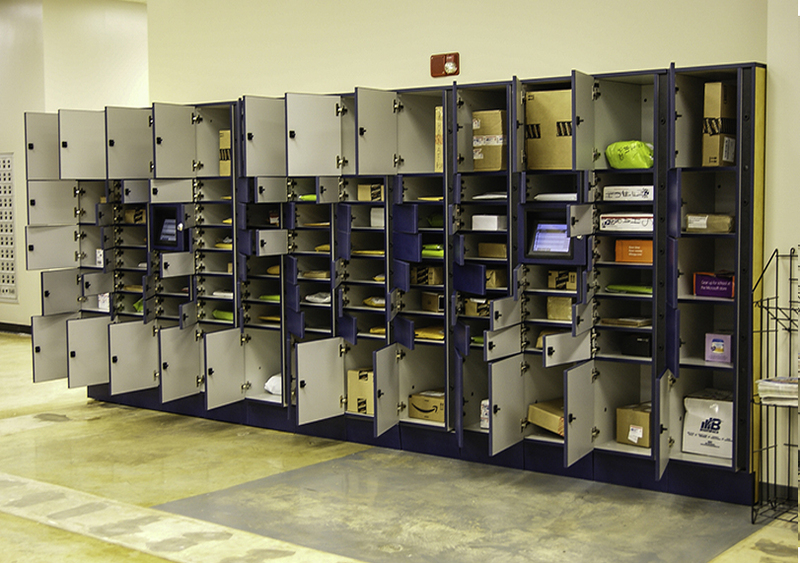 FedEx, UPS, Amazon, USPS, and any other courier’s package can be delivered to the lockers. 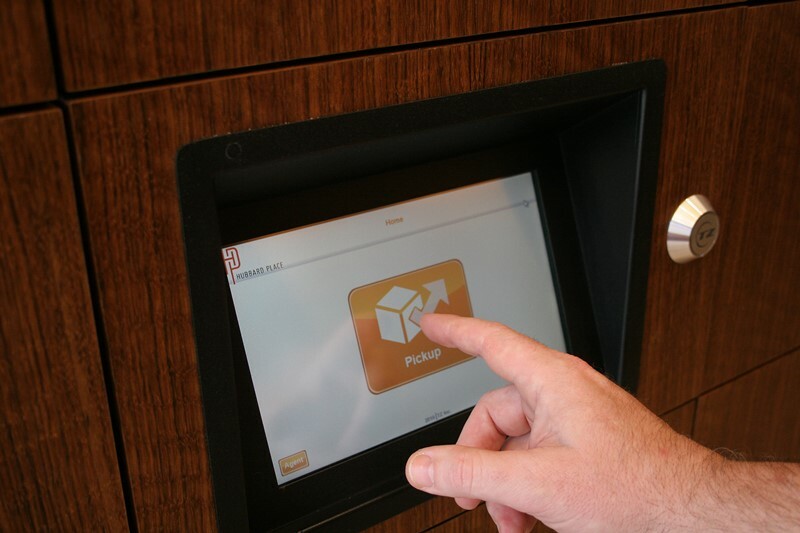 To drop off a parcel, the user logs into the system via the touch screen; selects the name of the person receiving the parcel (from the existing employee database); and places it into the assigned locker. 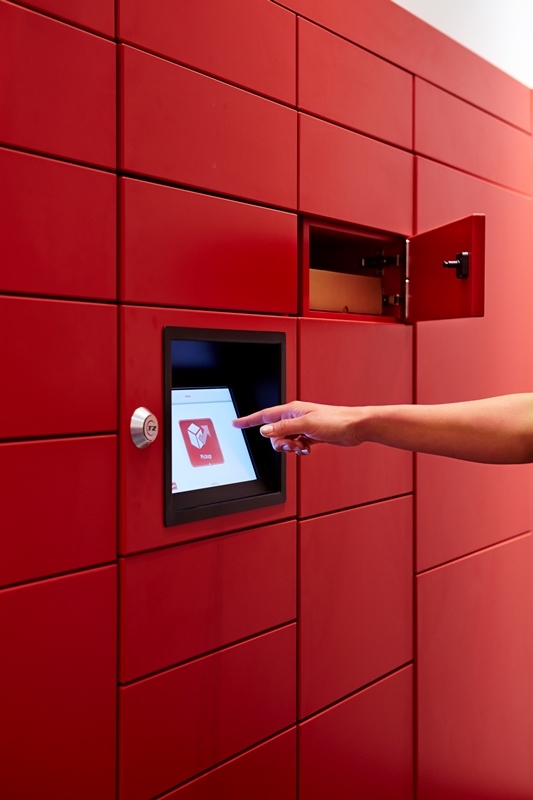 Once the door to the locker is closed with the parcel inside, the locker’s software system sends a text or email message with a unique access code to inform the recipient that their package has arrived. 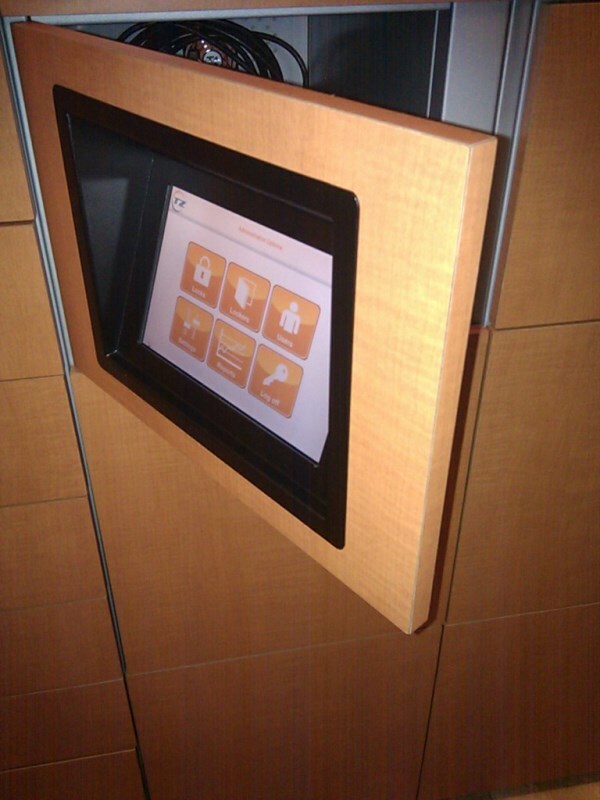 To pick up the package, the recipient simply enters the access code into the touch screen computer, which then opens the locker with their package. 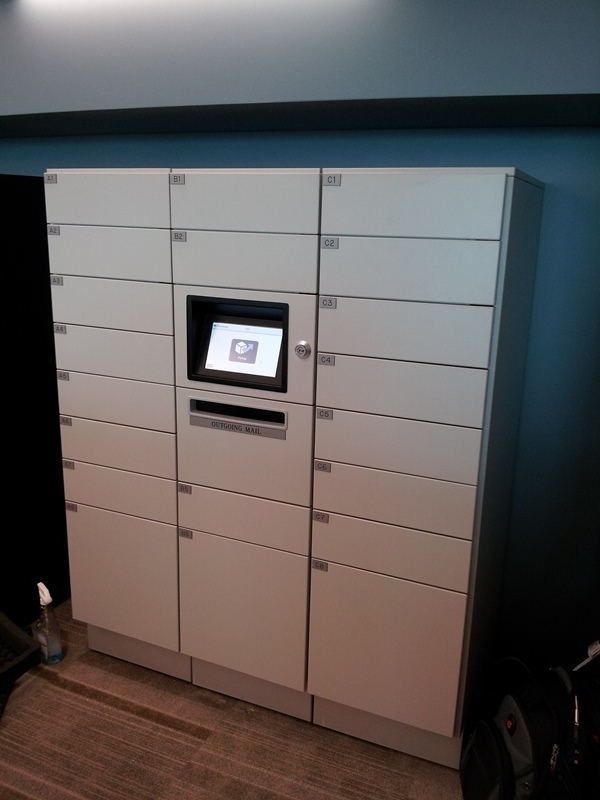 And because the self service package lockers are available 24/7, the recipient can retrieve their mail at their convenience. 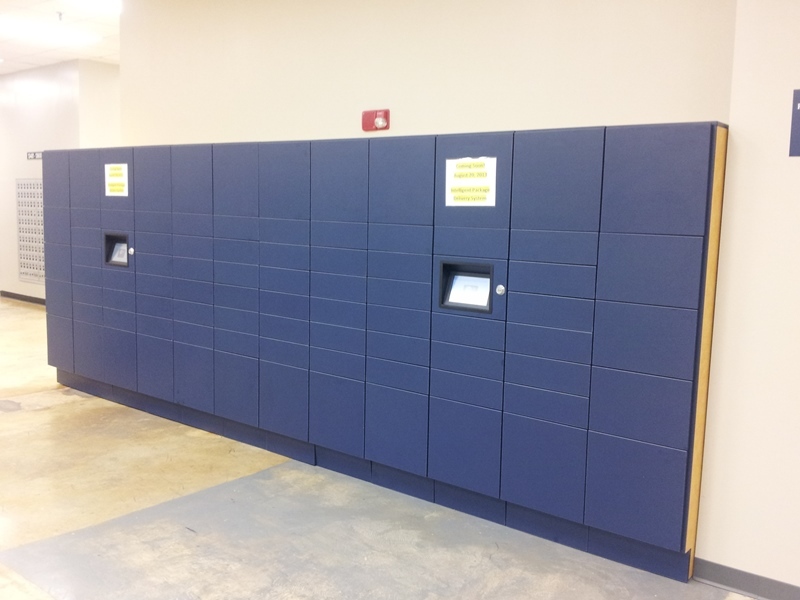 The self service package lockers work within many different parcel delivery environments including large enterprises, small to medium businesses, condominiums, apartment buildings, and university campuses. 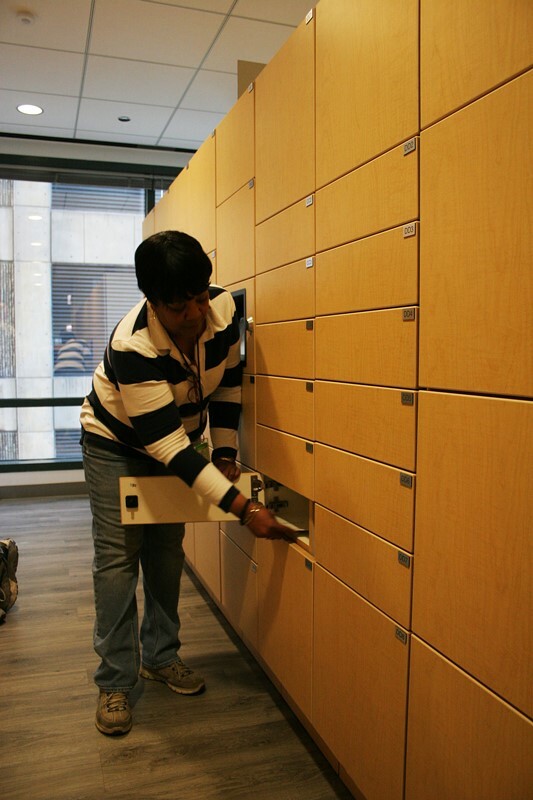 These lockers will expedite parcel exchange between corporate mailrooms and employees. 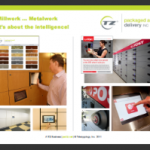 Working with both inter-office packages and outside mail delivery, the lockers interface with your company’s active directory database to ensure the package reaches the right recipient. 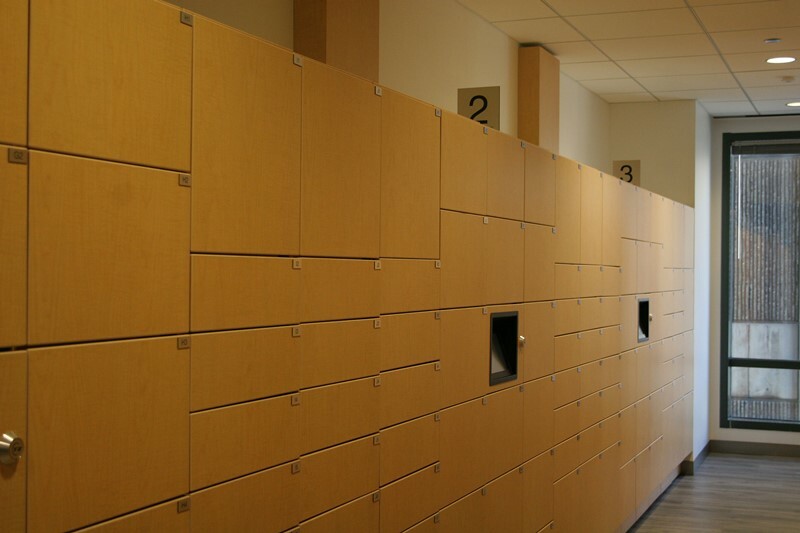 These lockers will automate parcel pickup for high density residential buildings like condos, apartments, and university dorms. Leasing and property managers will no longer have to spend extra time and money tracking and routing packages to residents. 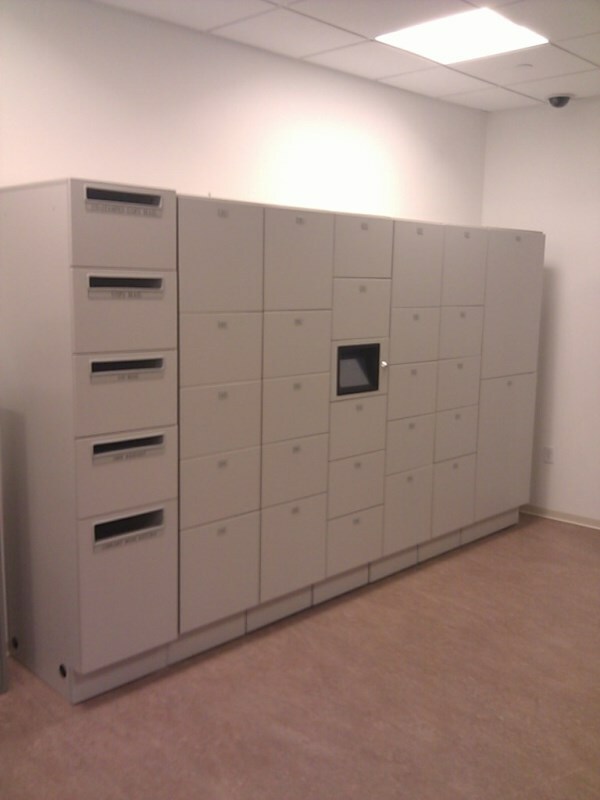 Physically, the self service package lockers consist of a bank of lockers with one of the lockers dedicated to housing the system hardware and power supply. 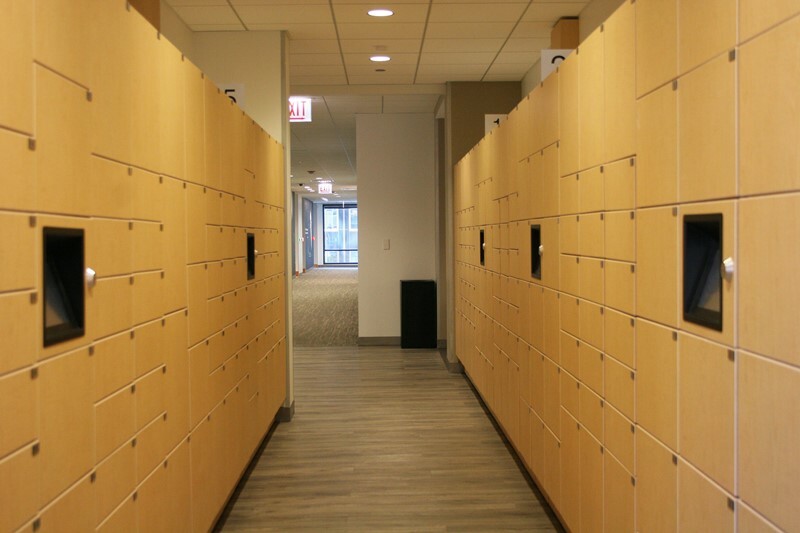 A typical bank of lockers is comprised of columns, with each column consisting of either six small lockers per column, a mixture of five or six small and medium lockers per column or two large lockers per column. 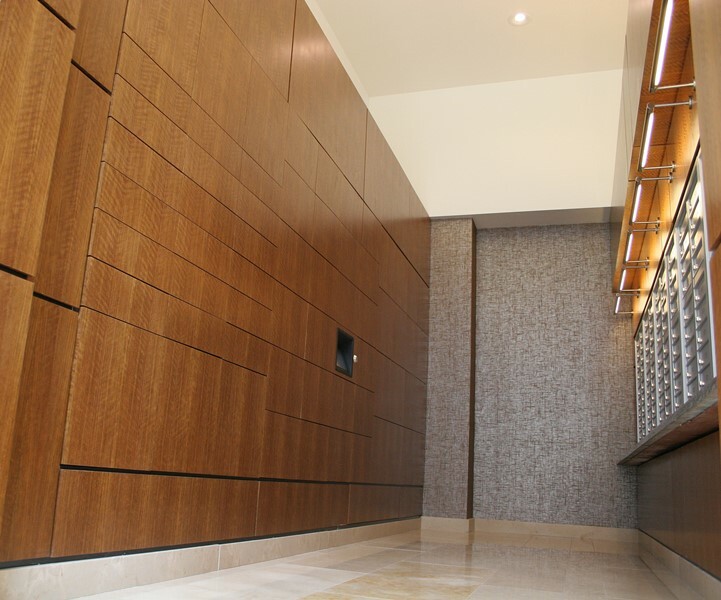 Each column features a locking raceway that incorporates the required number of locking devices for the number of lockers in each column. The lockers are available in a variety of finishes to complement the environment in which they are installed.